2018, displayed at the exhibition ‘Revelations’ at Harvard University. 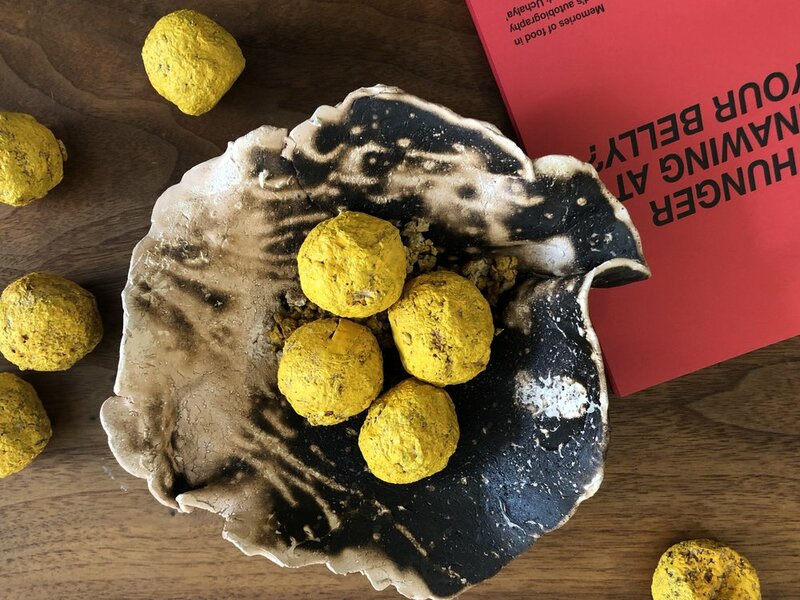 Laddoos made out of Manusmriti pulp. Pictured here with a ceramic bhaakar and recipe booklet.